Orange Bud Marijuana is a uniform and potent plant, very easy to grow and a trully high yielder. Orange Bud is a strain that comes from a 100% Skunk selection. 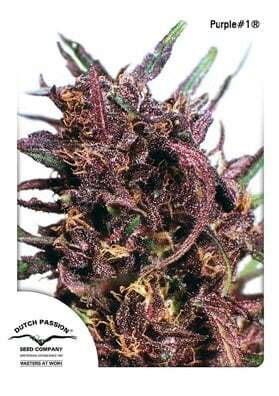 This is one of the most popular and appreciated strains from the Dutch Passion Seeds catalogue. Since it was selected from amazing Skunk genetics in the early 80's, it is a very uniform and potent strain able to thrive in any kind of medium as well as in being a indoors or in outdoors. Even the begginer growers will see how easy and pleasant this strain is to grow. Orange Bud yields high levels of dense and compact buds covered with crystals and beautiful orange hairs. After being awarded in the 80s and 90s, Orange Bud is definitely a classic skunk that any connaisseur should try. When grown in green sea, Orange Bud shows all its potency and yield capability. Its effect is uplifting and cerebral, ideal for stoners who have active lifestyles. Its has a unique sweet taste with citrus tones. This strain remains among the top five best-sellers due to its stability, potency, ease of cultivation and performance. In this way this strain is strongly recommended for Skunk fans. Do not wait longer and buy some of these seeds today!